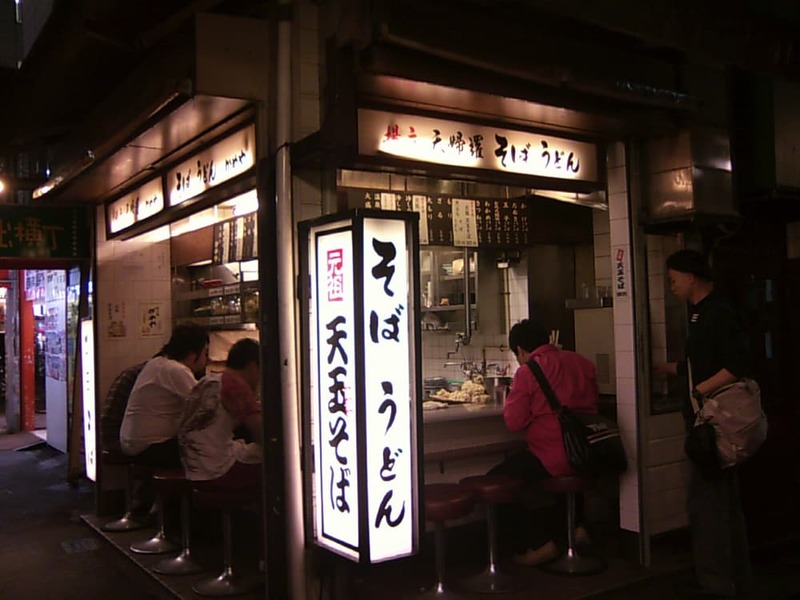 In Japan, there are fun and reasonable bars 「Izakaya」 where you could get along with someone drinking beside you. Today, we would like to introduce good Izakaya named 「KAMEYA」 located in Tokyo・Shinjuku at 「Shinjuku Nishiguchi Omoide-Yokocho」 area. 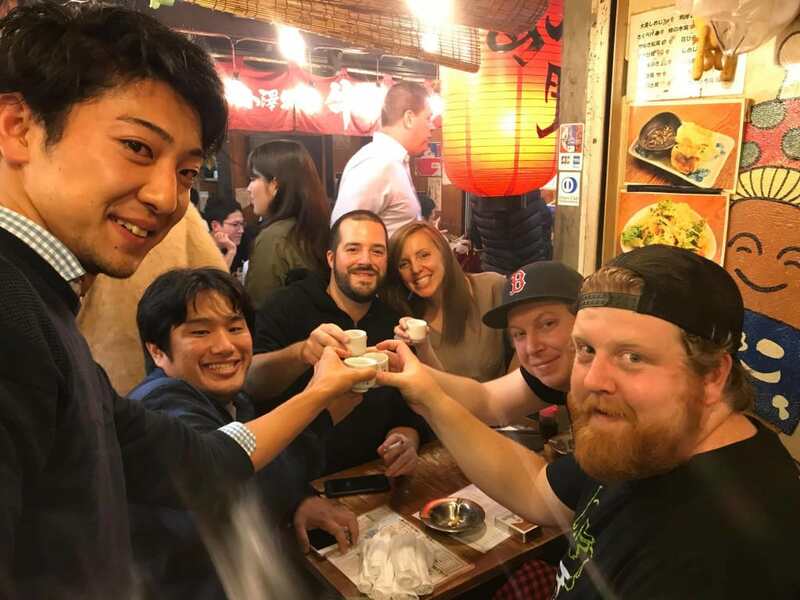 If you would like to go barhopping in Tokyo’s Shinjuku, check >>5 Great Japanese Style Pubs for Barhopping in Shinjuku Nishiguchi Omoide Yokocho! 「KAMEYA」is located at 「Shinjuku Nishiguchi Omoide-Yokocho」 area. This Izakaya has only 8 seats interior and as popular as being always crowed. The specialty of this Izakaya is 「Tentama-Soba」 that includes Kakiage made from some kinds of fried and mixed vegetables Tempura and soft boiled egg. It is said that this Izakaya is the first to put Tempura and egg together in Soba as a topping in Japan. So many people visit to have this original 「Tentama-Soba」. The good point of 「KAMEYA」 is several kinds of topping on Soba, but Udon is also available. In addition, Tempura and Onigiri can be also good to have as a side menu because there is a custom that having noodle dishes with tempura and Onigiri rice in Japan. This Izakaya opens for 24 hour, so we can have reasonable and delicious Soba at any time. We could not leave without having specialty Tentama-Soba when we visit Kikuya that provide us with freshly boiled Soba. This Soba has a characteristic of black soup that is particular to Kanto area in Japan. Dissolving fried Kakiage’s oil into this black but light soup with the taste of Dashi and Soy sauce, enjoy the flavor. And the mild taste of egg would do a good job of holding the thin and curly noodles. It would be a very mild flavor when we have it. Simple and healthy Soba can be eaten with gorgeous topping Tempura and egg only for 400 yen. Please try this flavor of Soba that almost all Japanese customer who visit there fall into love. Access：About 1 min walk from D3 exit of 「Shinjuku Nishiguchi Station」 on Toei-Oedo line. What’s the Shinjuku Nishiguchi Omoide-Yokocho? Shinjuku Nishiguchi Omoide-Yokocho has a roots in black market built after the Second World War in 1946. A lot of Izakaya around Omoide- Yokocho provide us with good dishes and Sake. The main dishes are grilled offal and whale meat. 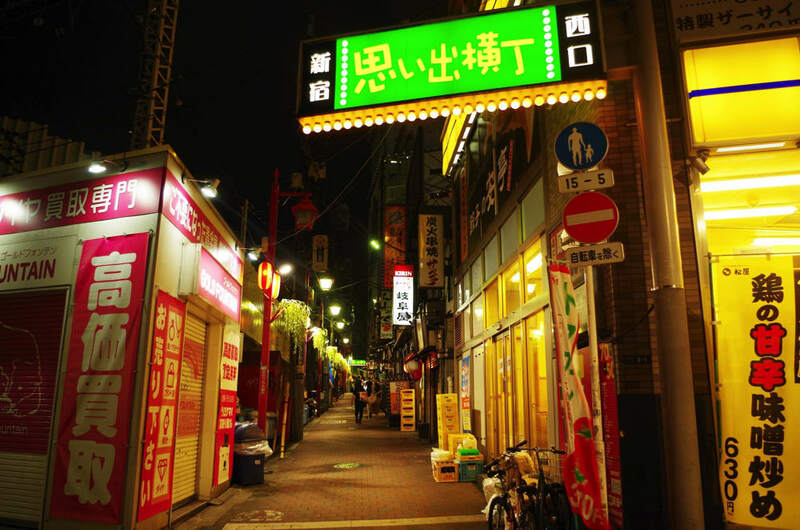 Recently, Omoide-Yokocho has getting more popularity among foreign tourists and the 「Hashigozake」, it means Bar-Hopping in English, has become a best way to enjoy this area. Here is a Recommended Way If You Want to try Bar-Hopping in Shinjuku.